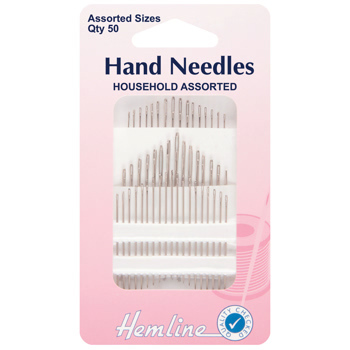 Use these economical metal yarn needles to sew knitted garments together. Needles have a large eye suitable for threading wool and other yarns. Pack contains 3 needles 89mm/3.5", 127mm/5" & 177mm/7"
Quality Doll needles ideal for cloth doll artists, soft toy enthusiasts and teddy bear makers. Also suitable for upholstery work.